I'm so glad you're here! I can't wait to meet you and help you create meaningful decor for your wedding day. Handlettered pieces are one-of-a-kind and a great way to incorporate significant words or details into your day. 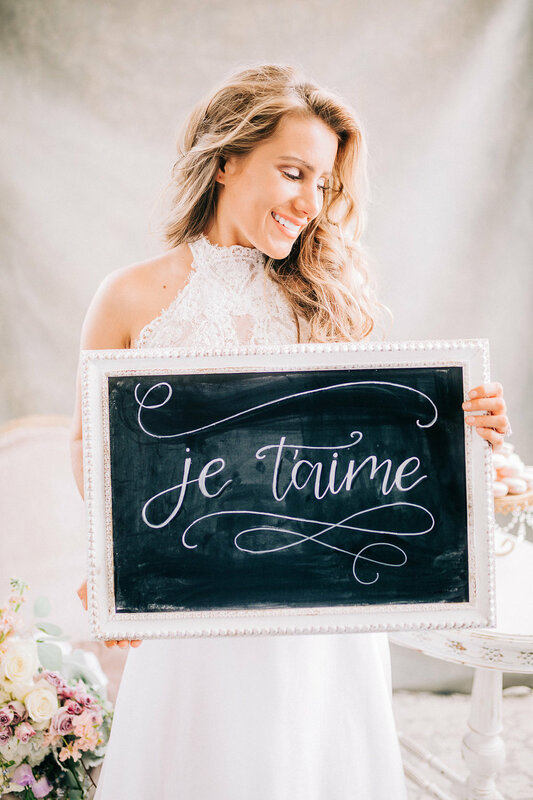 Choose words that are meaningful to you and your groom! Hang them behind the two of you at the altar or for a photo backdrop that's fun for your guests. I hope this trend never ends. Mirror seating charts are a gorgeous alternative to the traditional seating chart. They also reflect the other gorgeous details you've selected for your big day. A smaller option than the backdrops. These linen banners with unfinished edges can add an elegant and organic feel to your day! Hang it somewhere or have your flower girl carry it down the aisle. Your love story is as unique as the two of you, and your wedding should be too! 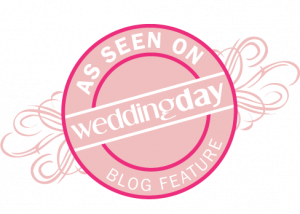 Let me help you portray your love-story to your friends and family for your special day. Details, big and small, can make a huge impact on your guests. Not to mention, that you will want to keep these one-of-a-kind details to remind you of the day you said, "I do." Signage: Signature Drink, Hashtag, Unplugged Ceremony, etc. You dream it up, I'll help you make it happen! Backdrops are 100% cotton with a rod pocket at the top for easy hanging! They are 6x9 feet. You choose the quote and color of paint to whatever suits your fancy. Mirrors are by far my favorite wedding detail! The sky is the limit. Provide your own mirror or rent one of mine. The ink I use is semi-permanent and so we can create something that will last through your wedding day, but if you want to re-purpose the mirror you can do that too! Mirror Rental starts at $75. Seating charts can be created on mirrors, acrylic, chalkboard, you name it! We can chat details later: ink color, name layout, etc. Seating Charts start at $150. Eden + Vine is AMAZING. I would recommend it to everyone. We used her work at our wedding and now we have her calligraphy above our mantel. When people walk into our apartment, that is one of the first things they ask about! It is beautiful. Eden + Vine has the perfect combination of not only asking for specific details about what you are envisioning but also using her own creativity to lighten and enhance her work. Bethany is amazing. I absolutely love all the hand lettering and calligraphy she has done for me. Her attention to detail and design is out of this world. I love her creativity and community mindset. I look forward to working with her again. Bethany does AMAZING work! She knows when to ask for all the details in what you want and when to fill in the gaps for what you can’t picture. She is so easy to talk to and work with. Highly recommend Eden & Vine! Eden + vine made all of my wedding signs—about ten unique pieces! I specified what I wanted and the end result came out better than I had envisioned! Beautiful and one-of-a-kind work! I'm Bethany and the cutie reluctantly accepting my affection is Sebastian. I'm a Cincinnati-native, glad to be serving brides in the area. I'm a coffee-lover, cat momma, and world-traveler. If I'm not wearing green or gray, its probably laundry day. I've always been a lover of creativity and launching eden + vine is a dream come true. Eden: I was going through a difficult season of life and thinking a lot about the Garden of Eden and how things ought to be. Perfect. Beautiful. Absent of shame and worry. I want my art to be reminiscent of eden. Life-giving and beautiful in a way that reminds us that things wont always be broken. Vine: Well if you look at anything I've made, you'll probably find a vine. But deeper than that, it represents a connection to our creator. The source of life itself and the one who gave us the ability to create too. Honestly, this business was kind of an accident. It really came to life when two friends asked me to create a large backdrop for their wedding day. I spent eight hours making my first backdrop while shooing my cats away so little paws wouldn't make an unwelcome appearance. After I was finished, I swore I'd never make one again. And then came my friends' big day. Their ceremony was in their backyard and the backdrop made the space look like a wedding venue. I couldn't stop looking at it. After their honeymoon they hung it up in their living room. I was sold. This was so worth it. I have gotten a lot faster and learned so much along the way! Creating unique pieces for your wedding day is such a privilege and a joy. Let's get this party started! I can't wait to work with you. Fill out the form below, and let me know in the message how I can make your wedding dreams come true. Photos By : Christa Hitchcock Photography, Monica Brown Photography, Emma McMahan Photography, Monica Ann Photography, Pipers Photography, Pieces & Part, Megan Nixon Photography, LRA Photo, Jennifer Post Photography.